TerryTown RV is one of the top RV dealerships in Michigan, and in Grand Rapids! We have a huge inventory and super low prices, so we can make your RV dream come true! 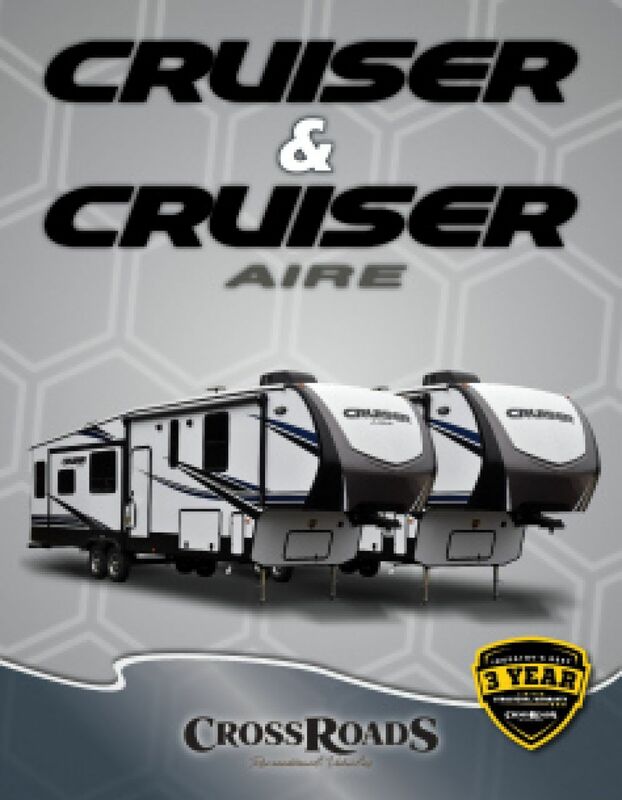 Whether you're in love with the 2018 CrossRoads Cruiser Aire 30MD 5th Wheel, or any other RV, we'll have it in our inventory! Head on down to 7145 Division Ave S Grand Rapids Michigan 49548 or give us a call at 616-455-5590 and let us make your RV dream come true! Cool off inside this RV despite the summer heat with the 15000 BTU a/c! With the 35000 BTU furnace, you can stay nice and warm against the winter weather! 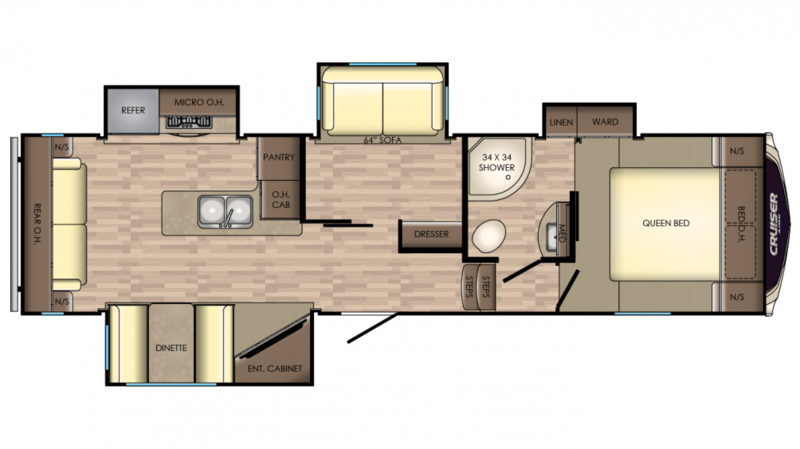 This RV is 8' 0" wide, 34' 1" long, and 12' 5" high, and becomes even more spacious with sliding out the 4 slides! The kitchen has a 18.00 cu. ft. refrigerator and a 3 burner range cooktop, so you can make tasty meals throughout the trip! The 60 gallon freshwater tank provides enough clean water to cook, drink, and clean with for the entire vacation! Avoid gross encounters in the communal restroom with your own personal bathroom! Inside you'll find a Porcelain Foot Flush toilet and a shower, with water heated from the 60 lbs. of LP tank capacity! The black water tank has 44 gallons and the gray water tank has 88 gallons.